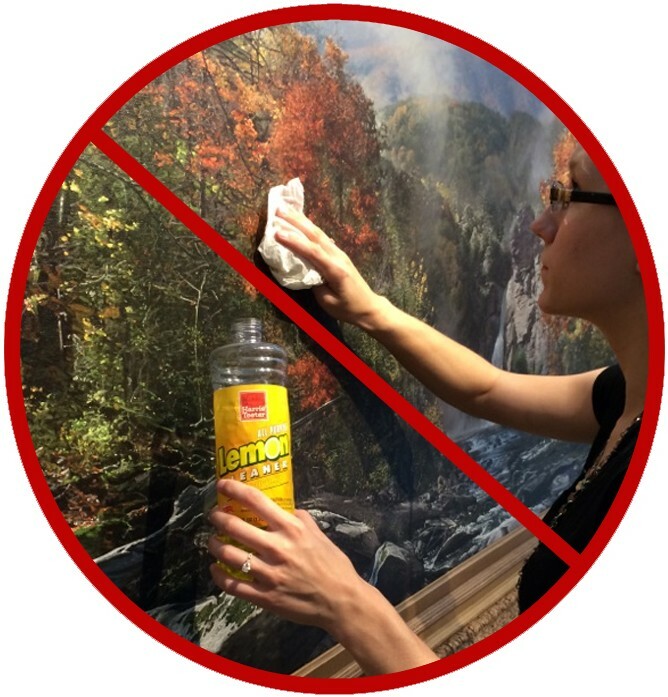 A housekeeper sprayed Pledge all over a canvas each time she cleaned it, resulting in a huge build up of yellow gook. 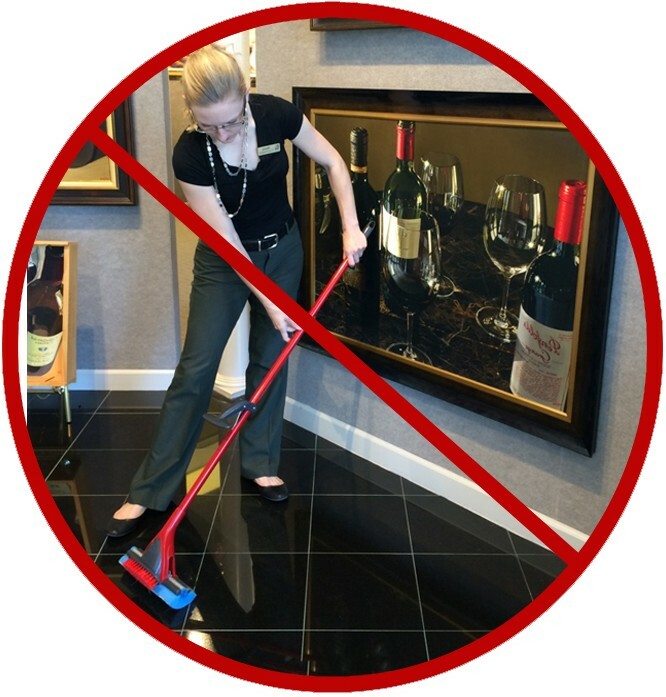 A housekeeper was mopping and jabbed the mop handle behind her through a canvas and putting a hole in it. A housekeeper thought the dusty finish on a hand carved frame was actual dust and scrubbed off the finish leaving a shiny spot on the frame. Bullet holes in a canvas – not sure we want to know what happened there. For canvases, use a feather duster or soft lint-free cloth regularly to remove surface dust. For glass, spray glass cleaner onto a soft cloth (not paper towel which can scratch) and wipe gently. For plexi, use a plastic cleaner on a soft cloth – not a glass cleaner which will scratch. 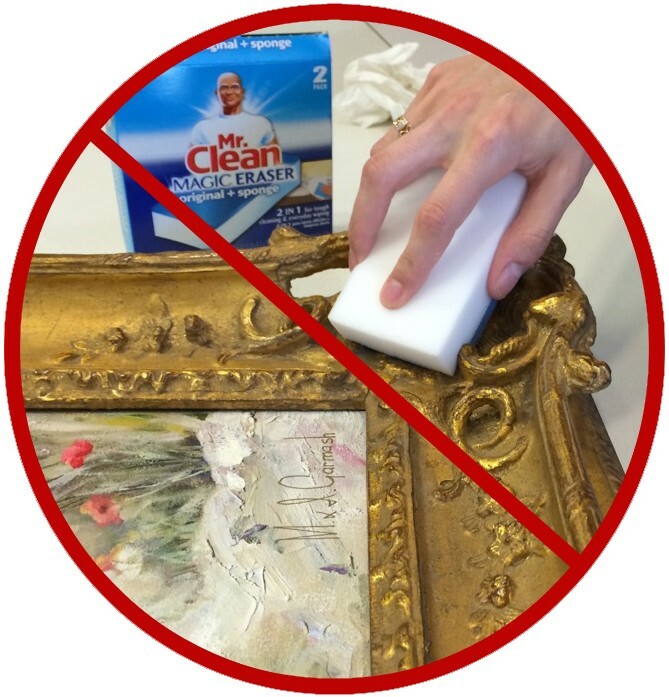 For frames, wipe with a soft lint-free cloth or with a dry feather duster. 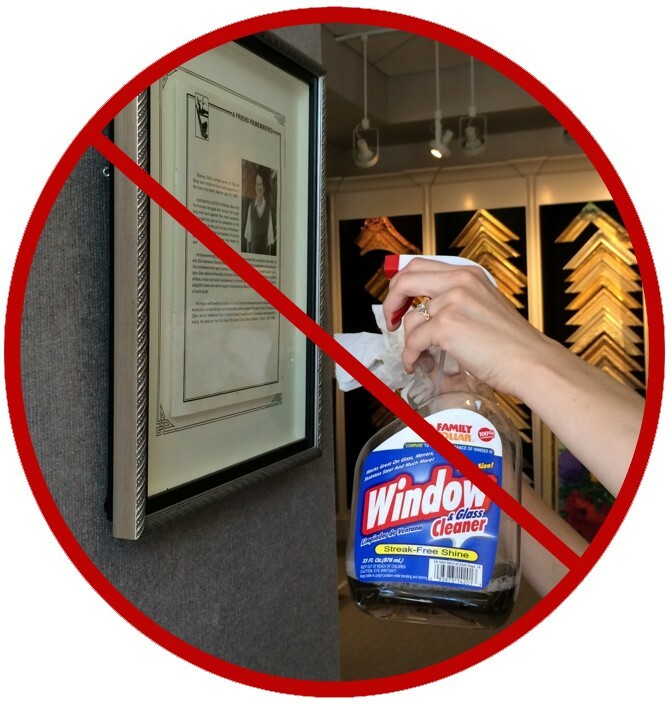 The greatest enemies of your artwork are sunlight, smoke and humidity, so you should hang or store your art away from direct sunlight, areas with high humidity (bathrooms, for example that don’t have exhaust fans) and wood-burning fireplaces. If you have any questions on how to care for a specific piece of art, don’t hesitate to call us and if there’s another topic you’d like to see covered in one of our blogs, please let us know!